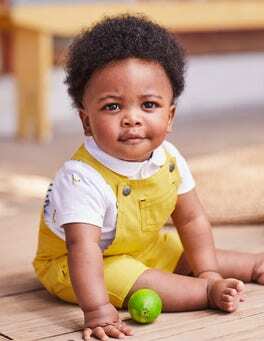 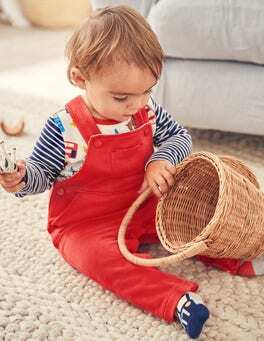 These cotton-blend dungarees have plenty of give for bouncing, kicking and crawling in comfort. 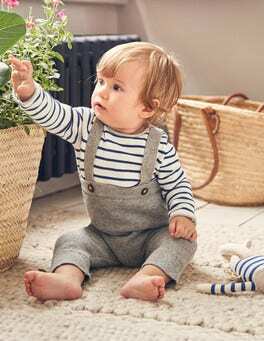 Buttons on the front make for easy dressing and the cross strap keeps the trousers in place once they're on. 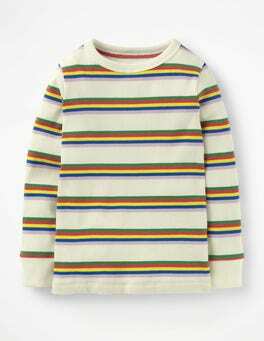 The knitted top can be worn separately for mix-and-match fun.